Dr. Olive received his Ph.D. in medical microbiology from Loyola University Stritch School of Medicine in Chicago. After postdoctoral research at the University of Illinois Medical Center investigating transcriptional control in SV40, he took a position with Pharmacia as a molecular biologist where he began developing the use of DNA probes for microbial diagnostics. In 1984, he was recruited by the World Health Organization as a scientist in the WHO/CDC program to eradicate poliovirus. In 1990 he returned to the United States as the Senior Manager of Assay Integration for GENE-TRAK/Vysis, applying a new nucleic acid amplification technology to the detection of microbial pathogens. He left after five years to help found Third Wave Technologies where his research team invented and developed a new nucleic acid amplification technology, the Invader. He subsequently held the positions as Vice President of Business Development for Applied Spectral Imaging and Vice President of Translational Research for LI-COR Biosciences. At LI-COR, he led the development of near-infrared dyes and contrast agents for image-guided cancer surgery. 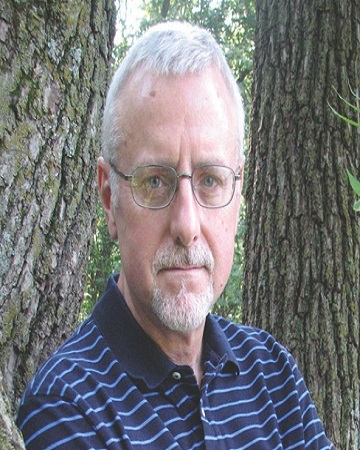 Currently he is a consultant for several companies in a variety of areas and serves as an Adjunct Professor of Biology at Nebraska Wesleyan University where he is pursuing his interests of developing lytic bacteriophage as potential therapeutic agents for methicillin resistant Staphylococcus aureus and other bacterial pathogens. Methicillin resistant Staphylococci, passive antibiotic resistance, bacteriophage antimicrobials.